Get great sounding dums and teks from this durable Arabic drum. 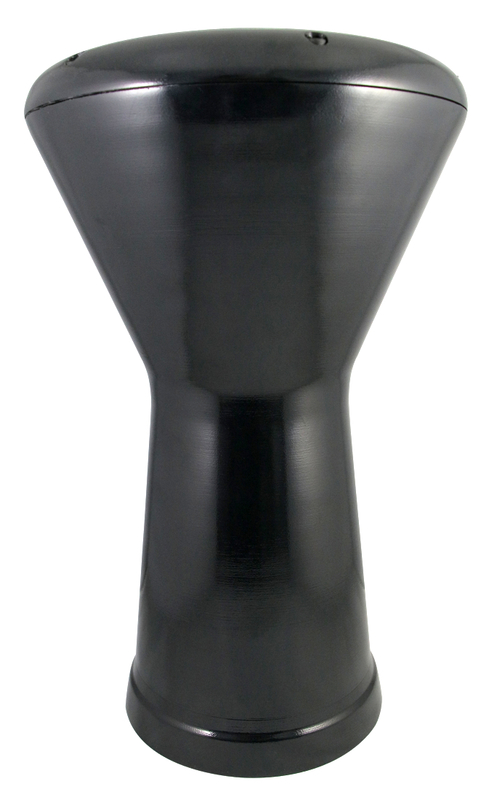 This Black Doumbek/Darbuka (Egyptian Tabla) drum is crafted in Alexandria, Egypt. 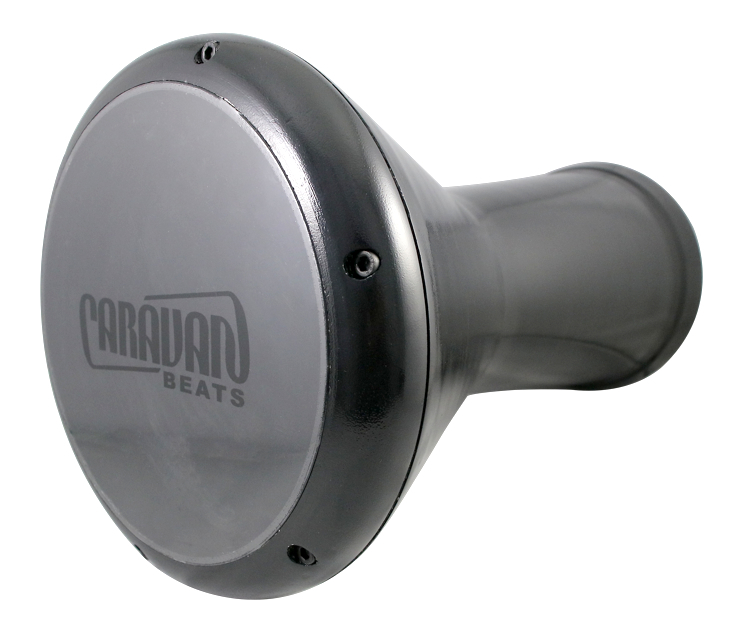 The cast aluminum body and synthetic head are durable and produce crisp sounding dooms and teks. Includes padded carrying bag with strap, extra synthetic head, and tuning key. Please note - This drum has been placed on sale due to minor scratches, dents, and blemishes to the drum body. This does not affect the sound or quality of the drum, and is simply a by product of the transit from Egypt to our warehouse. This drum is brand new, and has never been used.